Our 2 tier kettlebell rack is a stylish and sensible way to display and store your kettlebells. 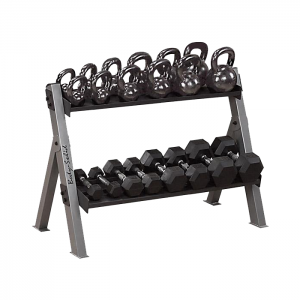 Supported by a 12 gauge frame, each heavy duty shelf has a 400 lb weight capacity, making this rack capable of handling 14 individual sizes or 7 pair (20 lbs thru 50 lbs) of kettle bells. 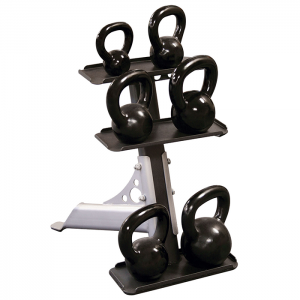 • 2 tier kettlebell rack. 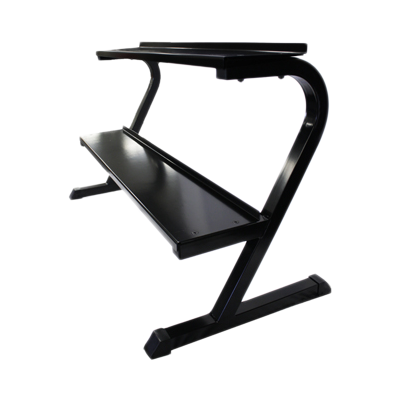 • Each shelf has a 400 lb weight capacity. 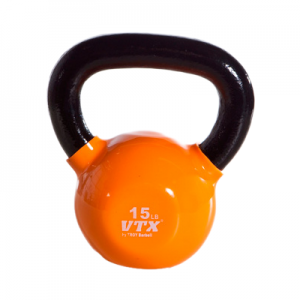 • Capable of handling 14 individual sizes or 7 pair (20 lbs thru 50 lbs) of kettlebells.